Twitter has been working hard on its video streaming offerings over the past few months. It recently inked an agreement with Bloomberg to broadcast news from the network around the clock for instance. Twitter has also developed apps for smart TV platforms which allow users to tune into its video offerings on their televisions. Ad in that area of news, it’s now available as a channel for Roku as well. If you are interested, Twitter’s channel is now available for Roku streaming players and Roku TV models in the United States. Now users can live stream content from Twitter and also see the conversation surrounding the content on Twitter along with the stream. This is a more immersive and engaging experience since users are able to view the content and relevant tweets side by side, which only helps Twitter. It adds more value to every Twitter video. Users can access a wide variety of live streaming video on Twitter like original programming, sports, news, and politics. You can also browse commentary via the Twitter timeline while live streaming an event while using the app. 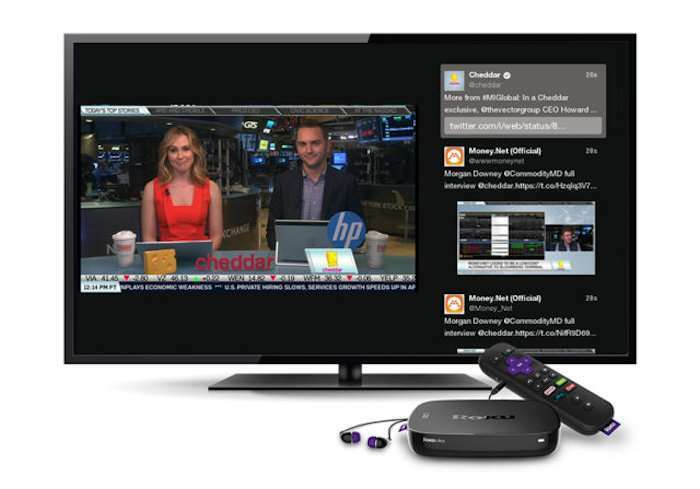 If you have a Roku streaming player or Roku TV in the United States you can now get the Twitter live streaming experience on your TV. Hopefully this will help twitter attract more users as well.